If you’re looking for a 4D portable ultrasound, the Voluson i is the best place to start. There’s a good reason for that: It’s the best portable 4D ultrasound machine on the market. Even with the new competition on the market, the GE Voluson i continues to have the best frame rates and image quality… even the early versions of the Voluson i are still excellent 4D imaging machines. That being said, there are some up-and-coming 4D portable ultrasound machines that won’t break your pocketbook like the Voluson i. The Voluson i has held its value very well over the years due to its demand and known quality. 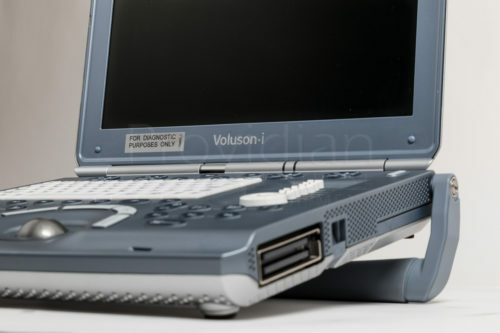 If this doesn’t make your budget, our sales staff can give you recommendations that will fit your budget.The Voluson i also can connect an external DVD writer and has VGA video output for an external monitor or connecting to a DVD-Recorder.